An incredible series of observations performed by a UK team has revealed the first detection of matter falling into a supermassive black hole at the incredible speed of almost 90,000 kilometers (56,000 miles) per second, about 30 percent of the speed of light. As reported in the Monthly Notices of the Royal Astronomical Society, researchers have tracked material moving around the black hole at the center of galaxy PG1211+143. They used X-ray observations from XMM-Newton to track gas movements and discover a hunk of gas the size of our planet, accelerating to almost a third of the speed of light. The team also discovered an unexpected characteristic of the system. The material accreting around the black hole is misaligned from the black hole’s rotation. And that’s where things get interesting. Supermassive black holes are so heavy that they don’t just bend space-time they also drag it as they rotate. This phenomenon, known as frame dragging, ends up breaking the disk into individual rings. Collisions between these rings are not infrequent and when they happen, matter falls directly into the black hole instead of slowly spiraling down. This “direct” route forces materials to accelerate to the incredible velocity witnessed in this study. Researchers suggest that this chaotic accretion might be the norm rather than the exception and many black holes do it, especially the ones rotating more slowly. By accreting gas from many directions, these black holes could increase their mass rapidly. 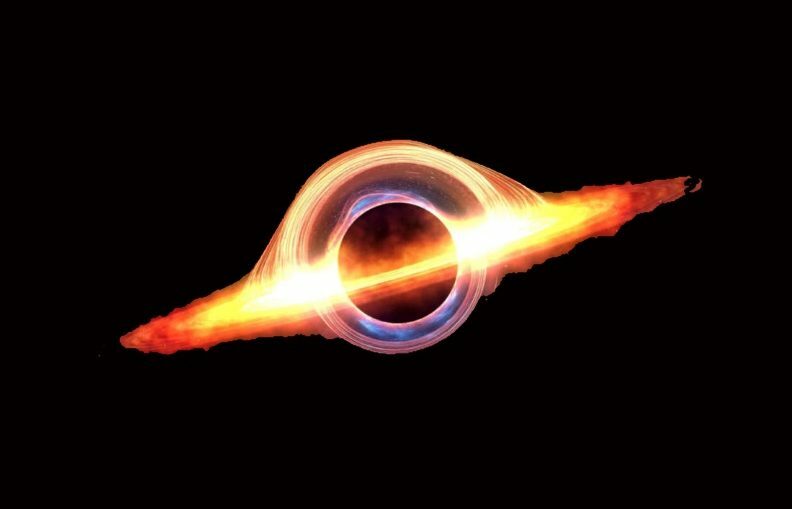 This might potentially explain how the first black holes got so big so quickly in the early universe.